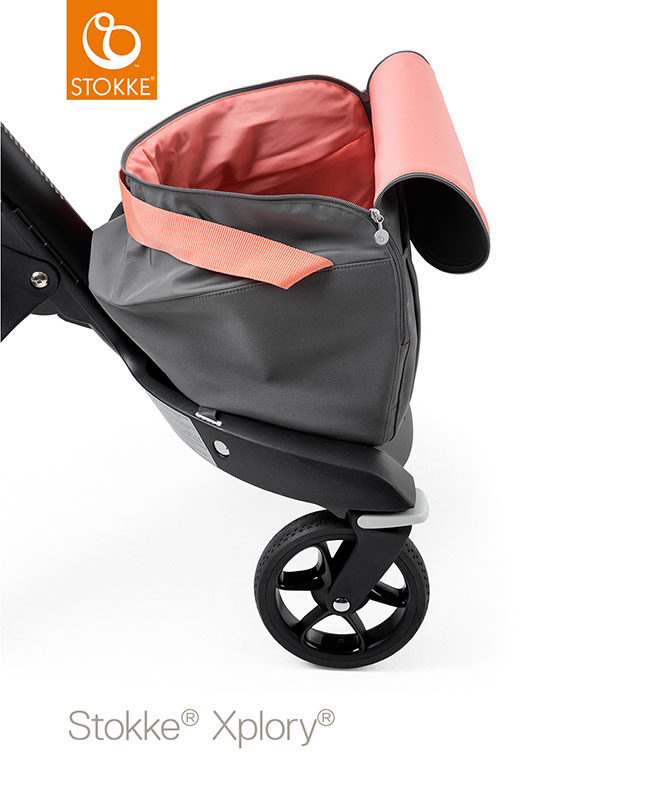 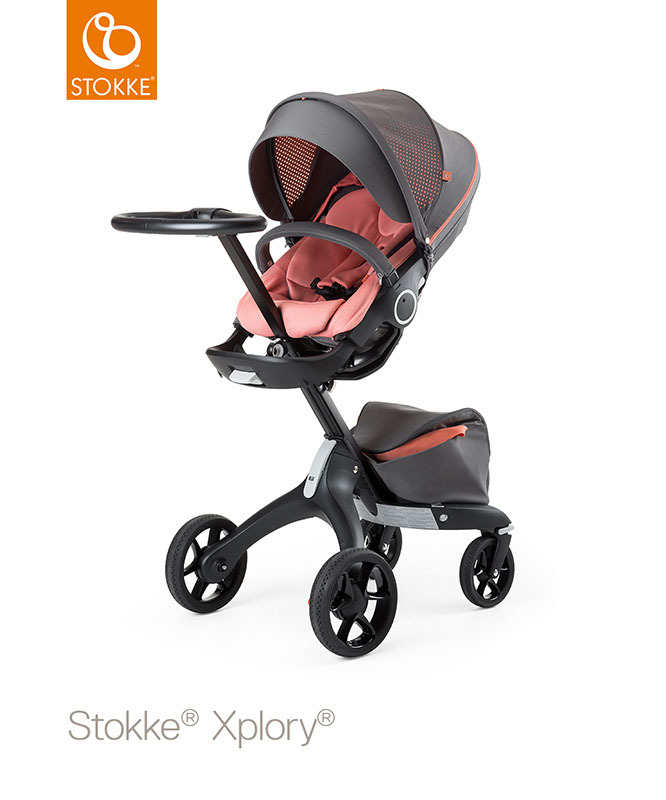 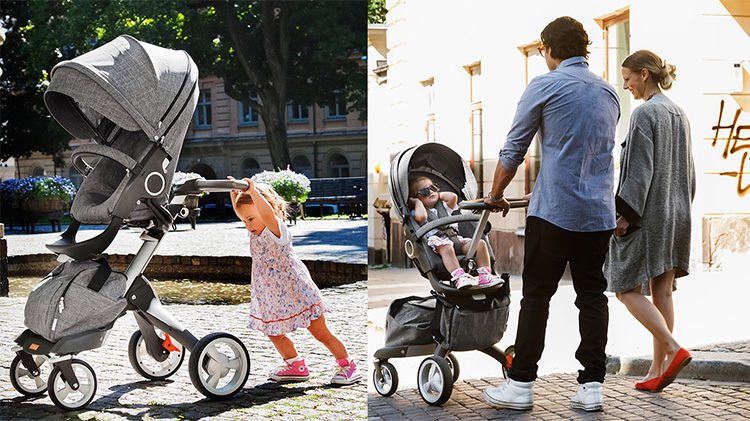 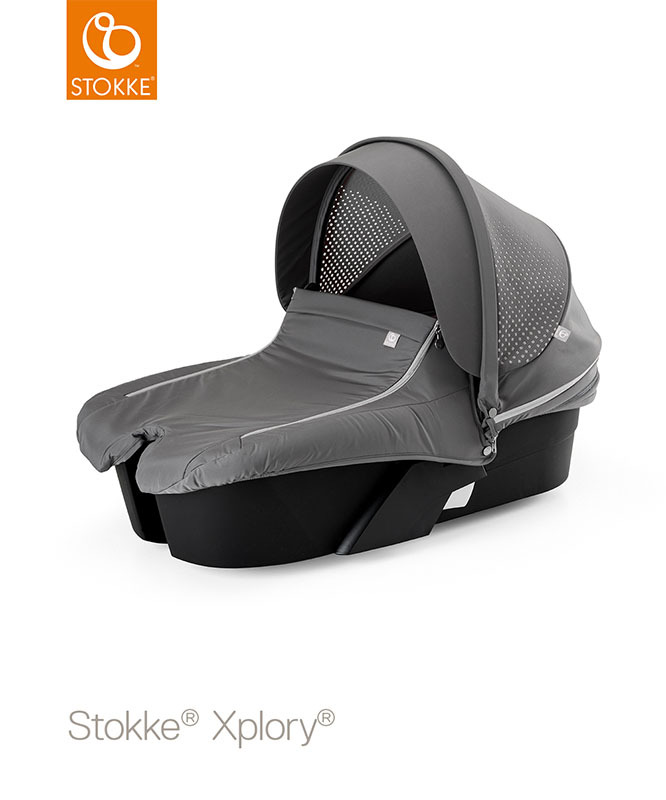 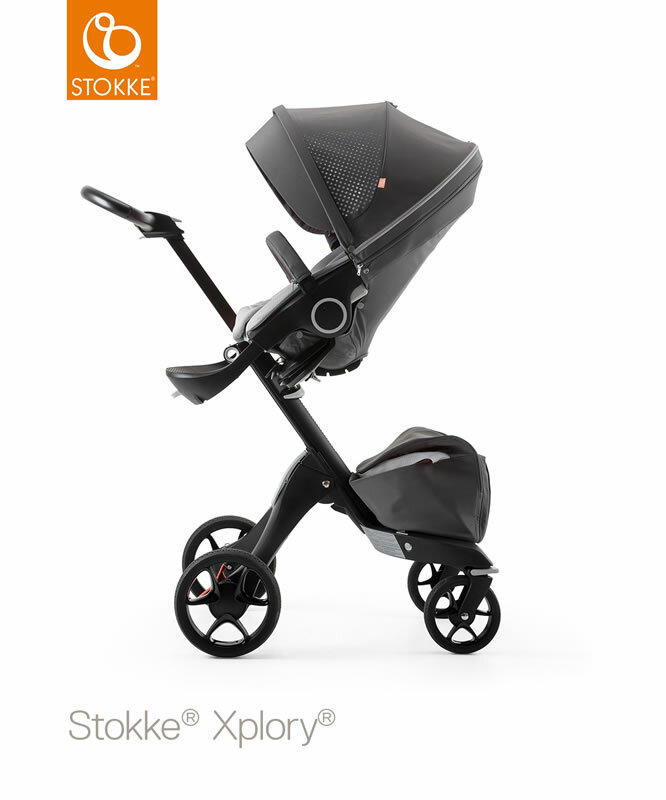 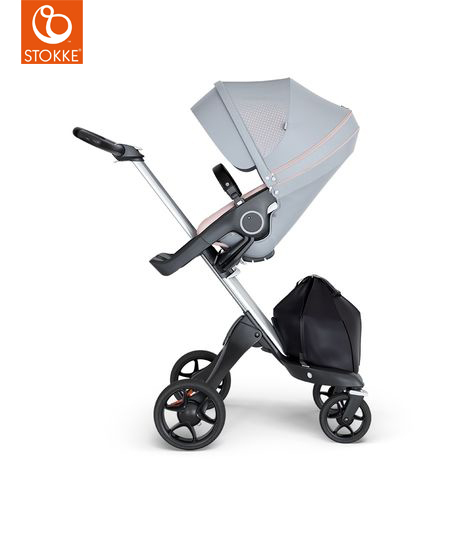 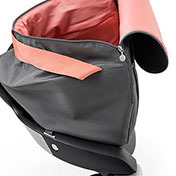 Our favourite pushchair from Stokke® - the Xplory® - is now available in 2 frame colours, and 2 distinct sporty fabric combiniations. 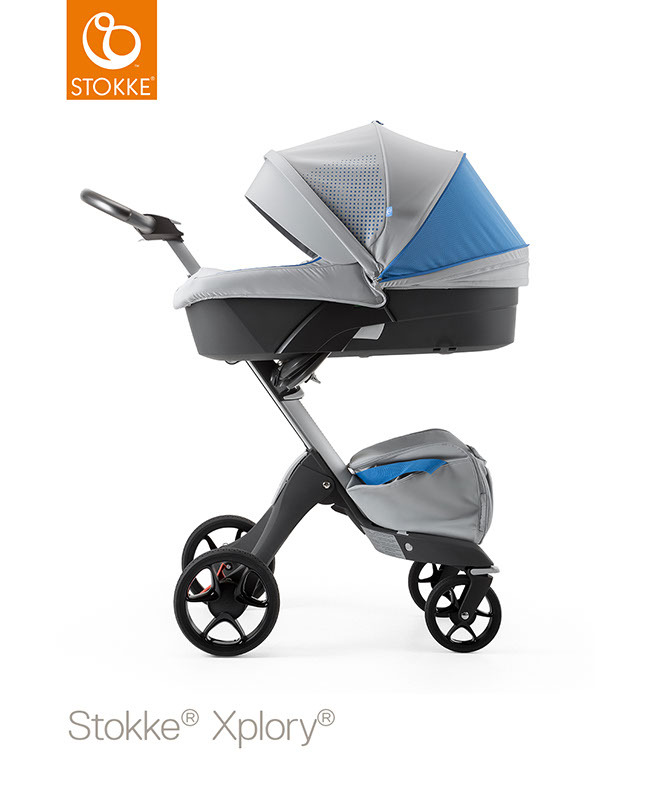 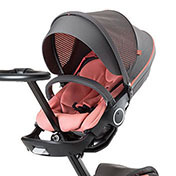 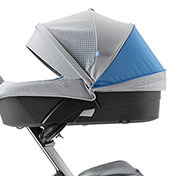 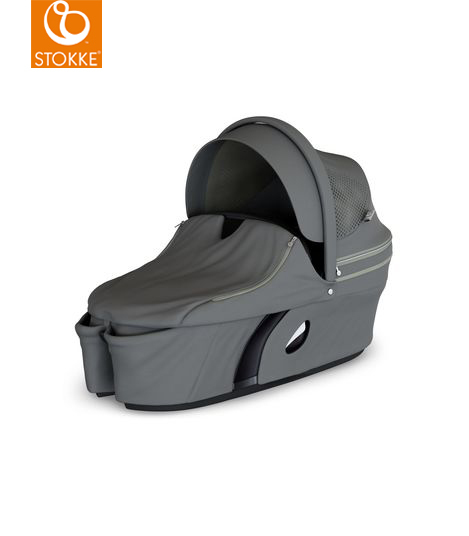 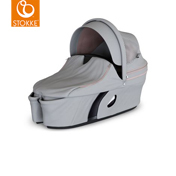 Make you exsiting Xplory Pushchair suitable for newborns, by adding this carrycot. 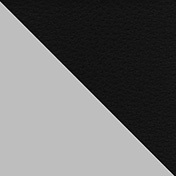 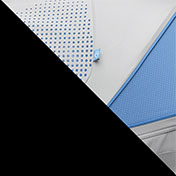 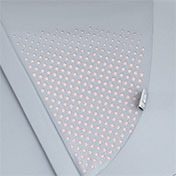 Note: The hood shown in this image is included with the main Xplory frame. 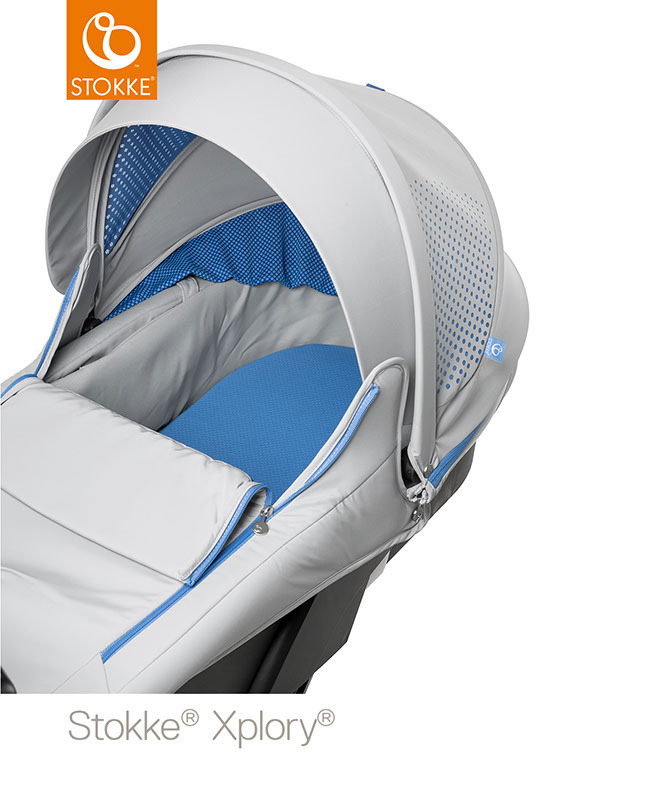 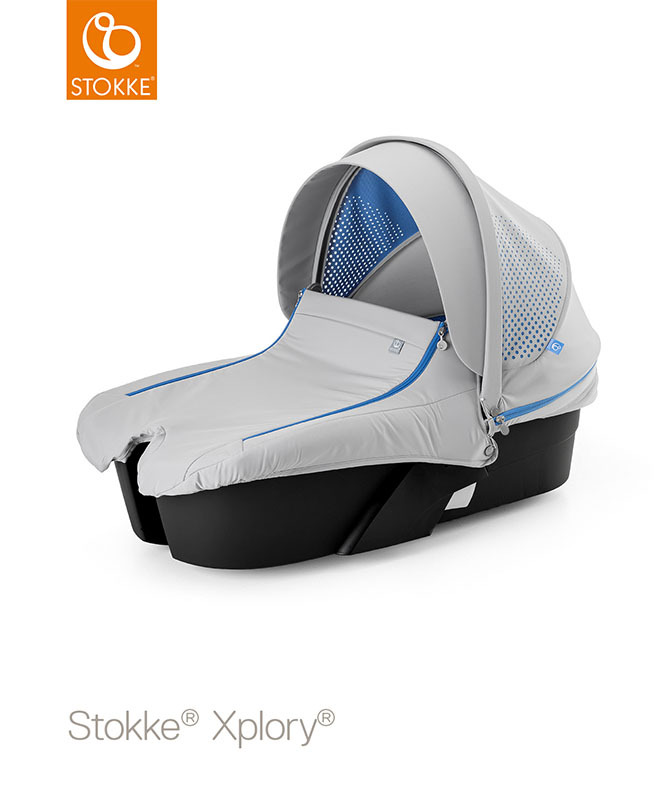 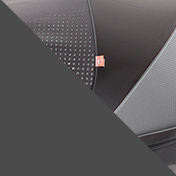 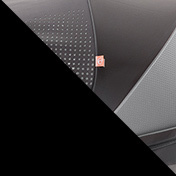 Make your exsiting Xplory Pushchair suitable for newborns, by adding this carrycot. 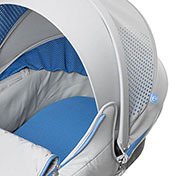 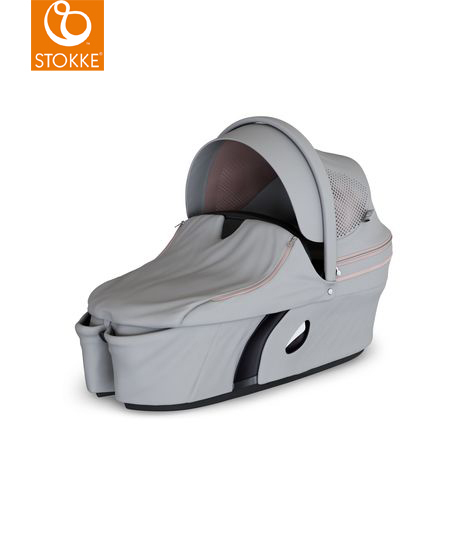 Protective and practical, the carry cot gives your infant a cosy place to lie flat for rest and sleep during your outings together. 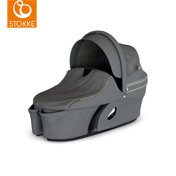 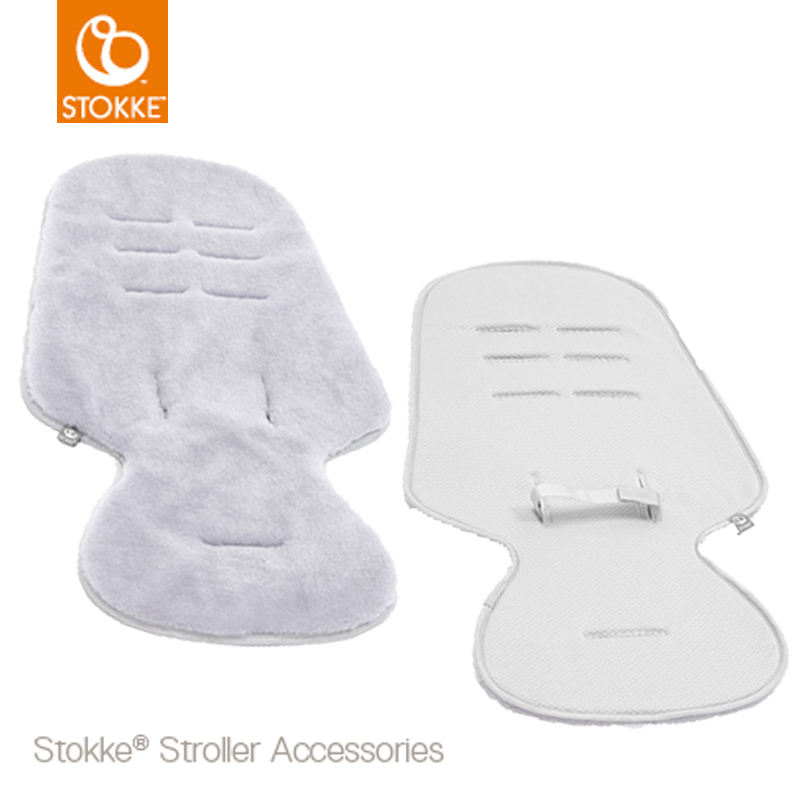 The carry handle is covered with durable leatherette and doubles as a seat rail.Also included is a breathable carry cot mattress.  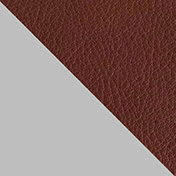 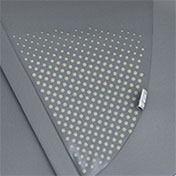 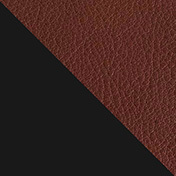 Made of Sorona fibres from renewable plant raw materials.